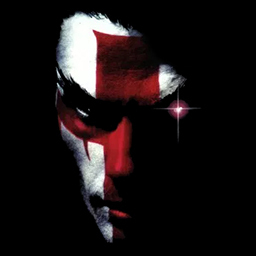 We were once a hard people made from a hard land. 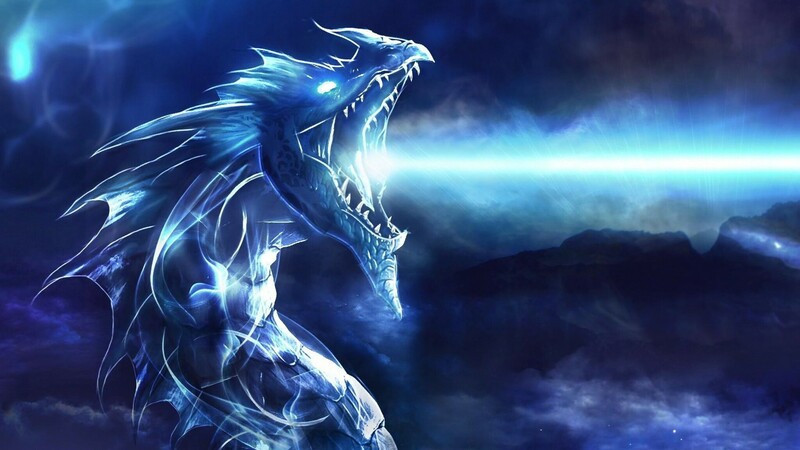 Like stone within the earth, we were strong and unyielding. Raw and misshapen, we were crude and unbeautiful. But stone can be chiseled, and from a hard shapeless rock, given life and made beautiful. With the patience of time, beautiful we did become. Like words that became poetry that became song, the stone that we once were was shaped into a rose. And that rose we named Thorne and gave it Dominion. That is where our story began. I have lived a long time. So long, some measure my life in ages. My ancestors created the mountains. They created the rivers and the sacred places. But we do not own this land. We belong to it. And long is my memory of this place. I remember his father, and his father's father before him. I remember the many generations of his line that came to leave their mark in this world. They swept into these lands like a wind with fire upon its breath. They called themselves Kymerion, and they rode upon the backs of great beasts they named lions. But Fateweavers is what we called them, for they pulled upon the threads of destiny and weaved them into the tapestry of our lives. And their stories are the ones that follow, that now fill the pages of our history. 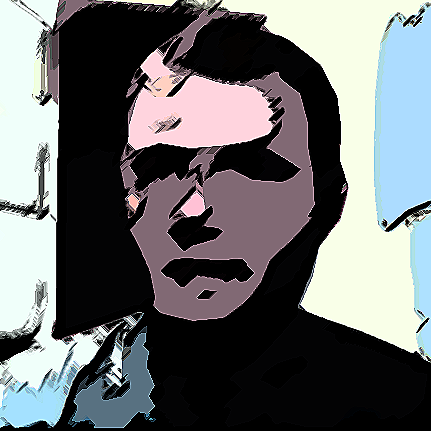 While we are all here to play characters in the world of Elyria, we recognize that everyone has their own style, reasons for playing and expectations of the game. So when considering the Dominion of Thorne as a prospective home for your 1st or even your 10th character, it’s important to know the things that will fundamentally drive our gameplay, summarized simply by these three basic principles. What we want above all is to create a place that promotes fun adventures and good storytelling. And it is in that vein that we intend to spend all our efforts, up to and including the exposition points we have at our disposal. 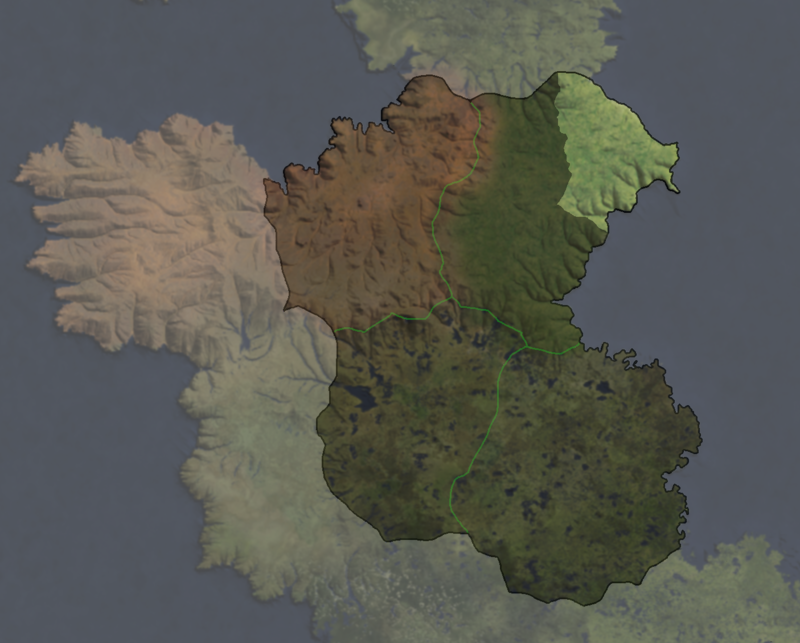 In Chronicles of Elyria, there are three areas of the game that we intend to focus on most as a duchy. We are dedicated to exploring the world of Elyria, to discovering lands beyond our continent and making contact with foreign tribes, to chasing down and unlocking some of the mysteries hidden in Elyrian lore. As part of our charter, we will fund exploration beyond the known world. 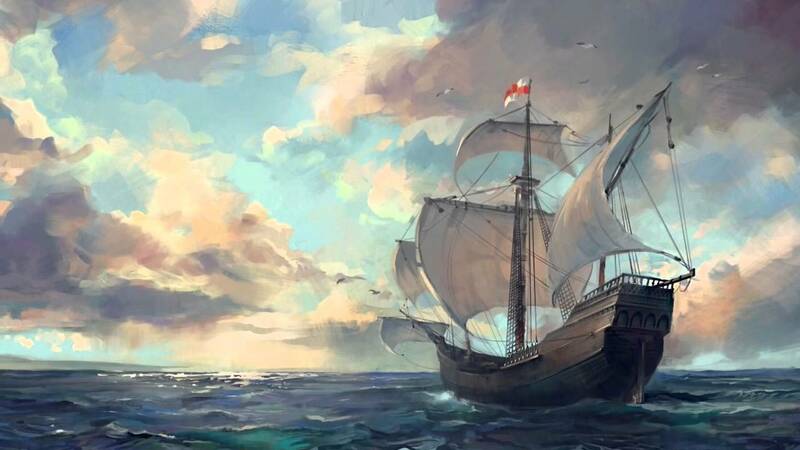 Practically speaking, this means that we’ll pay to cover the expenses involved in exploration on a contractual basis; Things like the ships, gear, rations and possibly even the soldiers to give explorers the resources necessary to explore a dangerous world. In exchange, we would require that all new lands that are discovered are done in our name, that any noteworthy discoveries are returned to us so that we may decide how best to act upon them, and that we have ownership rights to any artifacts or similar historical items found through these expeditions. Explorers may also be considered for vassalage in any new territories they discover and be awarded land and title commensurate with their desires and level of fame. Schools and universities are central to developing and disseminating knowledge. Language in particular – learning, studying, translating and teaching especially those of an ancient origin – is important to us because of the role it may play in understanding the ancient myths of Elyria and communicating with other tribes that we hope to encounter and discover through exploration of the world. We are also committed to funding and supporting institutions that accelerate skill development and that allow our citizens to have greater impact on the duchy and world around them. Those who wish to teach or to study, and those who seek to expand our understanding of things — especially about the ancient relics spoken of in our legends — will find kindred spirits here. We are determined to play a diplomatic role in the world order, insofar as there are others interested in collaboration and finding common ground. One of our primary initiatives will be to establish a political quarter within our capital where acquiring and sharing knowledge can be the focus of our engagements. It is our hope that by fostering cooperation between kingdoms and people, we can lay the groundwork for greater wealth and prosperity for ourselves. We are currently an unaffiliated duchy and welcome dialog with all dukes and monarchs of Angelica. Regardless of whose authority we may ultimately fall under, we hope to be able to work constructively with our neighboring duchies and contribute positively to the atmosphere of the kingdom we reside in. Having long had good relations with the Duke and Duchess of Vandiir, our acquisition of the Free Mann tavern has opened the door to greater collaboration between our respective communities. It is with this in mind that we now formally aim to establish ourselves as a neighboring duchy and settle in the northeast region of the grasslands of K4 (highlighted below). While nothing is ever assured in the upcoming selection of territories, we believe that signaling our intentions ahead of D&SS is the best way to avoiding potential conflicts with our peers, particularly those among the nobility who aspire to maintain constructive relations with Thorne, and by extension, our friends and allies. Some say that heroes are born, marked by fate at the advent of their lives. Others believe that they are made, created in small moments of great consequence. I only ever knew one in my life, and he died a heroic death. But whether a hero is made or born, I only know this; That were it my choice, I would choose to have stories written of me than to read stories written of others, because a life worth writing about is a life worth living! And that, it must be said, is why the world needs heroes. Not everyone aspires to be famous. Not everyone wants to lead a life of infamy or to play a role on the world stage. But whether our name evokes reverence or fear, whether we exist in a high-profile world or a reclusive one, we are all still heroes of our own stories. Through stories, we can commemorate our accomplishments and build a more immersive world for role-players and non-role-players to enjoy; A place where sculptures and frescoes will proudly honor those who have served the duchy with valor and distinction. So, come forth, heroes of Elyria, and be counted! The structure of our government will not deviate from the de facto hierarchy in the game. All decision-making authority will rest with the Duke and Duchess or those designated to act on their behalf. However, we will seek the counsel of our vassals, particularly on issues that may have an impact on the counties they govern. Citizens will also be granted the power to elect their own judges and sheriffs. These elections will be conducted as in-game events on a periodic basis and allow players to have a more active hand in determining who fills these positions, and ultimately, who the people are that dispense justice on a day-to-day basis. However, the Duke and Duchess will always maintain their authority to appoint judges or sheriffs as they deem necessary to maintaining law and order within the duchy. The High Council is an advisory council of our vassals that convenes to discuss matters of growth and prosperity. These typically include taxes, laws and matters related to national harmony. Any decisions that are referred to a vote shall be decided by simple majority. 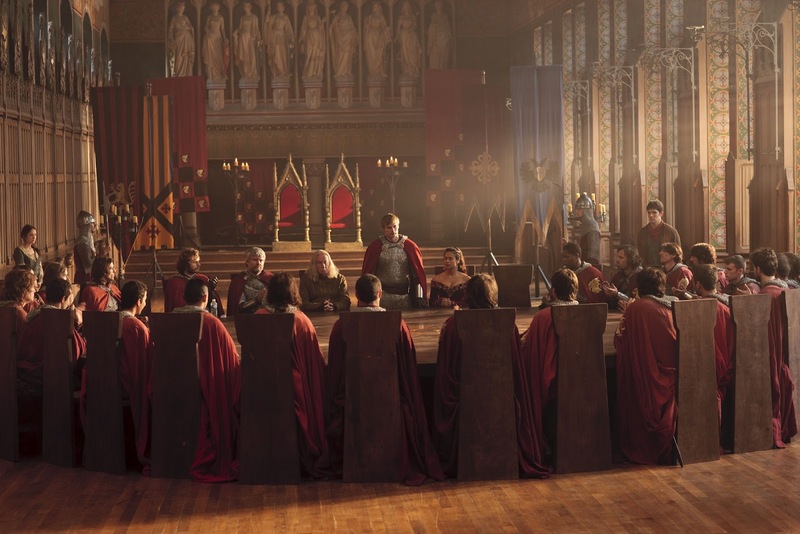 The Iron Council is an advisory council of our wardens and barons that convenes as needed to discuss military strategy during wartime and develop plans for our collective defense during peacetime. The Conclave is an assembly of religious leaders within the duchy that convenes when summoned to offer counsel on matters of faith. The social hierarchy of Thorne rests upon the hierarchy within the game. However, we’ve adopted a more local flavor that better fits with the style of our duchy, so most of the positions have been given variations on the names. Players looking to join our duchy need only visit our community Discord and make their intentions known. We are a friendly community and we welcome all players - counts, barons, mayors and citizens - to come and get to know who we are and what we're about. No duchy can exist — nor duke hold dominion over lands — without an army. No realm can prosper without security. It's what creates the space necessary for civil society to exist and for people to be able to focus on their own goals. The responsibility for the security and defense of the duchy is divided between two branches of government: the military branch with a command structure organized around baronies that defend against foreign invaders and the civilian branch with a system of justice organized around counties that handle domestic criminals. The military in particular will be further divided between land based and naval based warfare. Our primary goal for defense is to field a force capable of countering any army marshalled by our enemies and employing a variety of battlefield strategies that may be needed to defeat them. In general, this means fielding horsemen, footmen and bowmen trained in the use of a range of weapons and tactics. 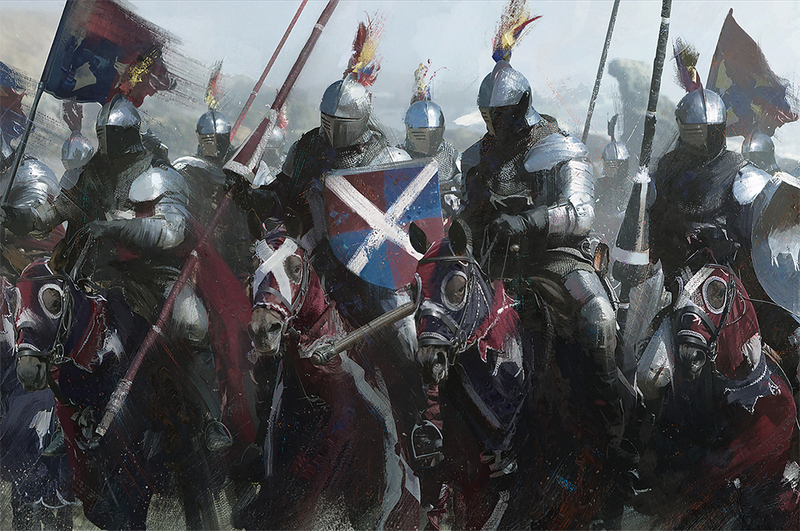 Wardens will be elevated from the ranks of our barons and will be charged with ensuring that the baronies under their command are battle-tested, geared and ready to fight. Spare our sons and save our daughters, this and more we pray. Charged with keeping the peace within Thorne, the Huntsmen are a specialized collection of warriors under the authority of the Duchess. While predominantly focused on her safety, they do intervene frequently on her behalf wherever great crimes and injustice can be found. It is in her name that the common people of Thorne often give thanks when they return to the warmth and safety of their hearth. 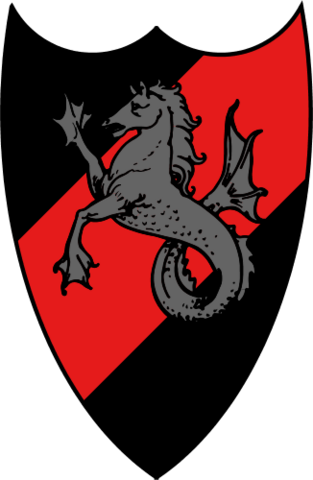 Barons are the bannermen of Thorne who owe military service to their duke in exchange for the creation and maintenance of a barony. As part of their contract, all bannermen pledge fealty to the duke at the time of their signing by repeating the Bannerman’s Oath. Breaking the oath automatically severs the contract and such barons are thereafter treated as Oath Breakers to suffer the consequences that follow. Central to our success and survival is our economic wellbeing, and so it’s important to define goals that focus on the ways in which we hope to drive our economy forward. The backbone of any economy is infrastructure. This largely consists of the roads and bridges that interconnect our settlements and facilitate the movement of both goods and people throughout the duchy. To ensure that our infrastructure is adequate for our needs, we have budgeted an allotment of EP for each county to help our counts make the necessary investments in the lands they oversee. While it’s often tempting to want to focus a duchy on any one trade, craft or activity, an overly narrow focus is not something that is likely sustainable in the long run. A healthy economy provides for the needs of those who exist within it and maintains a balance between production and consumption. And with the right combination of producers and consumers, a virtuous economic cycle can emerge where production is fueled by consumption and fed into taxation in a never-ending cycle. One area in which I think a virtuous cycle can be achieved is with crafting and combat. One of my ambitions to that end is to create venues that offer fighting as entertainment throughout the duchy in the form of arenas. This gives warriors a tangible occupation to hone their skills over time and stay sharp, creates a domestic market for craftsmen to serve with their skills and goods, and allows us to construct interesting social events around it all, from run of the mill tournaments to a full-blown sporting league where counties and settlements can compete for bragging rights. There will be a heavy emphasis on culture within the duchy. 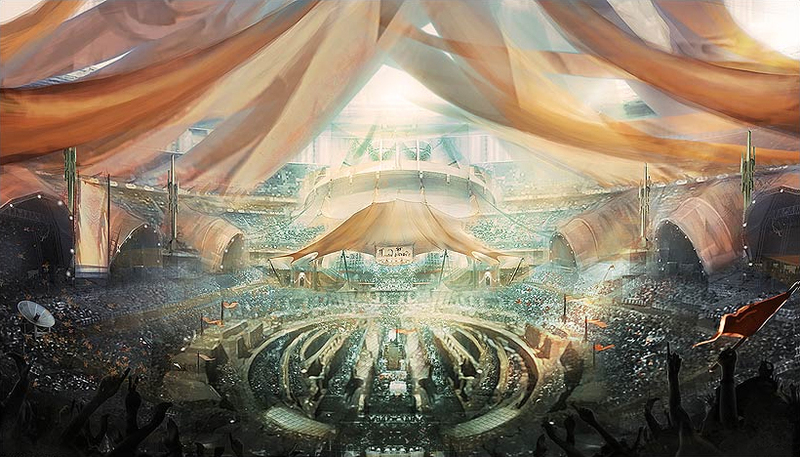 As the architects of our setting, we will have the opportunity to create a world built upon a unique history where ancient things can be introduced to make that history tangible. Collectively, this history serves as a foundation for developing our stories and traditions — what we generally call lore — all of which adds a sense of realism to the world. Our goal therefore is to create a setting rich for storytelling and to encourage players to act and be involved in ways worth commemorating. Paintings, sculptures and even monuments may be erected as tributes to the deeds of players in this way. We also hope to foster the cultural attitudes of the duchy through regular in-game events. The Vanity Fair is a player exposition that originated within the Vale of Vainglory, the ancestral lands of House Kymerion. Often called The Honor Fair among those born outside the Vale, it is an event dedicated to the celebration of beauty and achievement. 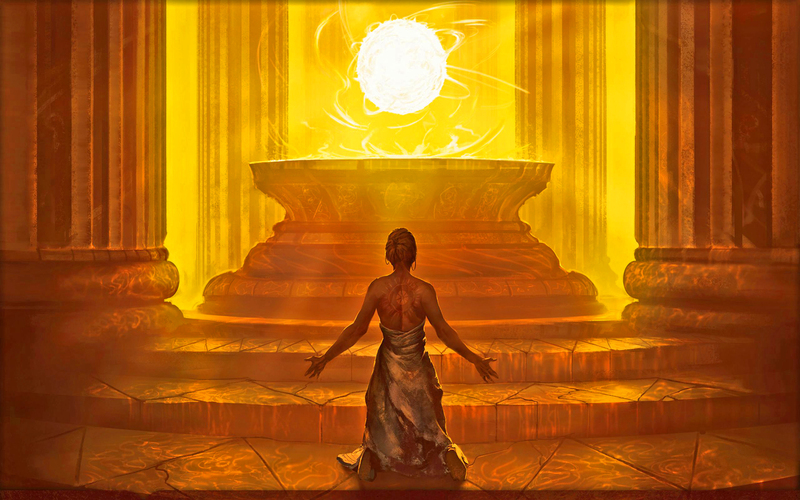 At its heart however, the Vanity Fair is understood to be a contest through which the individual qualities celebrated by Kymerion lords are encouraged and rewarded. 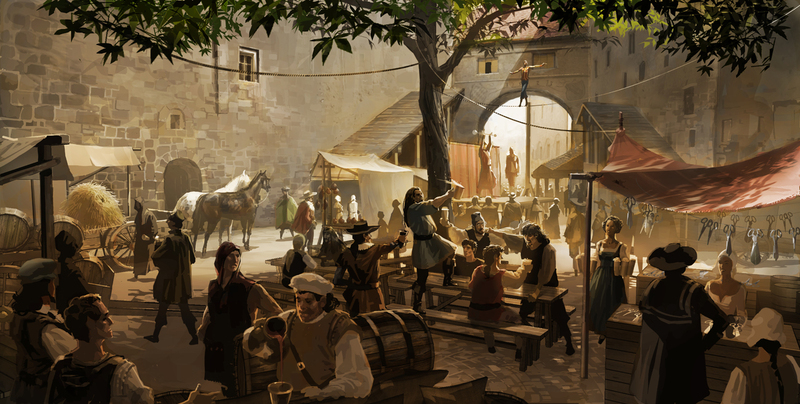 Contests in the fair range from combat to crafting to the arts, and as the most prominent social event of the octennial (every 2 months Earth time), nobles and aristocrats, gentry and commoners are all invited to attend the spectacle of the fair. Citizens from across the duchy come to fashion a name for themselves, and while participation always raises the profiles of the participants, the worthiest of contestants — those who demonstrate something remarkable — can earn a tribute from the Duke and Duchess. We are especially interested in architecture in Thorne. We strive not only to build beautiful cities and towns, but also high functioning ones that can sustain growth over time. While we cannot dictate how people build things or what they choose to build, we do have some basic guidelines in mind that serve as a good basis for building beautiful cities and spaces, which we will go into more detail elsewhere. Here’s a quick overview. Stylistically, we want Thorne to be a marriage of strength and beauty. It is a mix of the old with the new. And we sincerely hope to be able to see this reflected in the architecture of our settlements so that it can shape the character of the duchy. The flame symbolizes the force of creation and the perpetuity of our spirit across the many lives we inhabit. Culturally, it is used in various forms throughout the duchy to promote a sense of unity, allowing settlements to establish some connection to the greater whole. The lion symbolizes strength and pride. Culturally, they frequently adorn the tapestries of the aristocracy and nobility and of aspiring artisans consumed by vanity and self-perfection. The rose symbolizes beauty and prosperity. Culturally, they are often planted within public and personal gardens to express the power of life and its dominion over death. The most common depiction of the Trinity of Thorne takes the form of a rose wrapped around a fire-breathing lion. This depiction is frequently found in works of art throughout the duchy, from jewelry to paintings to sculptures, and is used as the seal of the Duke & Duchess of Thorne. It is our expectation that tribes at launch are at their most primitive states and thus the starting point of their cultural evolutions, not the end point. Consequently, we expect that much can be done to change tribes over time. For the most part, we intend to be laissez faire in our approach to the cultural evolution of tribes in Elyria, with one exception: the Kypiq. Should we have a significant Kypiq presence within the duchy, we would like to orchestrate a managed evolution of the tribe toward a more Elven-like culture. This is predicated on ultimately transforming the tribe into a Neran/Kypiq hybrid where Neran styles can be integrated with Kypiq affinity for nature and trees. What was once a Wonder of Elyria and an active temple many centuries ago has now fallen largely into disrepair and neglect. It is believed that the temple was once home to a cult dedicated to the worship of Daemon, which revered the Sunstone as a holy relic imbued with his spirit. What became of the cult remains a mystery to this day, but their disappearance has been linked to the disappearance of the relic. Today, the Temple of the Sun stands as tribute to the past and is merely a shadow of its former glory. What lies within – or beneath – is the subject of a lot of local gossip, and adventurers who have traveled there have often never been heard from again. Whether that’s because of the riches they discovered or their untimely demise, nobody truly knows. Roleplaying isn’t just a word we use. If you’ve read this far, then you can probably tell that we have a lot of ideas and that we like to focus on storytelling. All of our ideas ultimately revolve around creating opportunities for players to interact with one another and play their roles. So, if you want to tell an epic story, go out and perform epic deeds. This is the style we intend to promote. While tavern roleplaying is a perfectly acceptable way to engage with others, playing your role in the world instead of talking about it can lead to more natural roleplay and a more real and fulfilling experience overall. Glad we have something worthy of our name here in the forums we can show off now. I may be biased but this is the best post I have seen on the forum's so far. I'm proud to be a part of Thorne! Woot! i've been waiting for this to come! Very excited to see this all come together! It is my pleasure to call this home. I look forward to the gardens we shall grow and the cities we shall construct. Thorne is great! Just joined today and looking forward to playing with you guys. Just got accepted! Glad to be here! Visit Thorne, We Got Cookies.